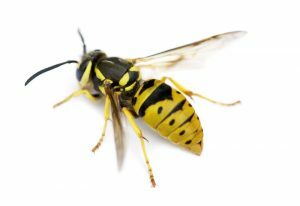 They are often considered the bane of any picnic and are one of the leading causes of what we like to call ‘flailing arm syndrome’, but it’s when wasps turn their attentions to private properties that things can really become hard to keep on top of. Even a lone wasp can be a significant nuisance, but when they are allowed to form nests in numbers – the real concerns start to crop up. Thankfully our team at Pest Control Empire specialise in wasp control and we’ve dealt with literally hundreds of infestations in the past few years alone. The thing about wasps is that once they find a location that offers them warmth, protection and security – they will fight to the death to ensure that they aren’t removed. This can be quite daunting to have to come to terms with, especially if they’ve set up a nest inside of an attic, a loft, or anywhere around a home. There’s only one guaranteed way to rid a property of an infestation of wasps, especially yellow jackets – and that’s to completely eradicate the hive. This in itself can be very dangerous and should only ever be undertaken by experts – namely our team of professionals that know the most effective methods to minimise risks and maximise results. The first thing that we’ll do is evaluate the severity of your infestations. For smaller hives, we may be able to bag them up and get rid of the stray wasps as quickly as possible – but even this can be a dangerous activity if not done properly. For more extensive invasions, including those that have resulted in stray wasps being present within a home and those restricting access to a particular room, we will utilise the most advanced removal processes. We will typically apply a formula via spray that will kill most wasps on contact, as well as any strays that come into the contact with the chemicals once it has been applied. To avoid the risk of stings, we’ll then isolate the area that is being treated and allow enough time for the wasps to die en masse. From here we will evaluate the location and check for any more stragglers, dealing with them as they are encountered. The final step will be to remove the hive and the wasps – and then clear the area, so that your home or garden can return to a functional state as soon as possible. When it comes to getting rid of wasps it’s never a good idea to allow them to expand their nests; that’s why we encourage our clients to get in touch with us at the earliest signs of an infestation. We’ll visit your home at a time that suits you and then take care of the entire removal process there and then – so all that you’ll have to do is sit back and watch our experts do what they do best.